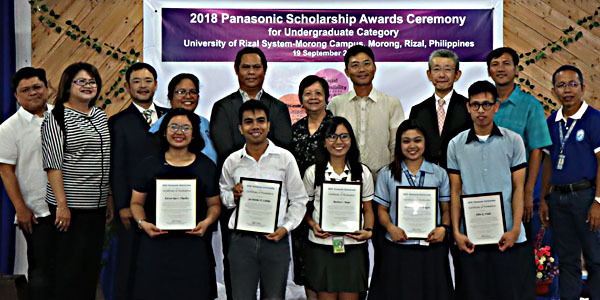 Panasonic, which is celebrating its 100th anniversary this year granted scholarships to five deserving university students during the awarding ceremony held on September 19, 2018 at the University of Rizal System (URS), Morong, Rizal as it continues to pursue its vision of a better life for everyone, and realizing a better world through its contribution to various activities, including the Panasonic Scholarship Asia program. The ceremony was led by Panasonic Corporation (PC) Groupwide Brand Communications Division leader for CSR & Citizenship Department Haruhisa Okuda, and Panasonic Manufacturing Philippines Corporation (PMPC) president Shinichi Hayashi. Other guests, who graced the occasion included Pamantasan ng Cabuyao (PnC) president Isabel Inlayo; URS vice president for Academic Affairs Flordeliza Peñaranda; URS vice president for Research, Development, Extension and Production Namerod Mateo; PMPC executive director Masaru Toyota; URS-Morong campus director Allan Conde; University of the Philippines-Diliman (UPD) associate dean for Students Affairs of the College of Engineering Rhandley Cajote; PMPC assistant director Robert Pacheco; and Panasonic Precision Devices Philippines Corporation (PPRDPH) assistant director Mary Ann Diaz. The five new Panasonic scholars are Miss Rizza Lei Mansilungan (Mechanical Engineering student at URS-Morong Campus; Mr. Allen Unida (Mechanical Engineering student at URS-Morong Campus); Miss Maricar Mojar (Accountancy student at PnC); Mr. Joe Diether Cabelin (Electronics & Communication Engineering student at UPD), and Miss Kirsten Rae Hipolito (Electronics & Communication Engineering student at UPD). They were chosen after passing series of interviews, and assessment of their over-all performance as students along with the expectation that they will make use of their scholarship not only for their personal gain, but also for their contribution to the progress and development of society by becoming good leaders in their chosen fields. During the ceremony, Mr. Hayashi challenged the new scholars by reminding them that Panasonic is not just simply giving financial support, but out of the company’s commitment to contribute to the country’s continuing development as well. “Please understand that the main objective of this scholarship program is to provide promising students, like you with the opportunity to obtain a college degree, and become dynamic assets of your community. So aim to become good leaders in your chosen fields, and contribute to society,” Mr. Hayashi said. Other guest speakers, Dr. Inlayo, Dr. Conde, and Dr. Cajote took turn in commending Panasonic while offering words of wisdom to the new scholars. In his keynote address, Mr. Okuda also gave some words of advice by emphasizing on three points for the new scholars to keep in mind. “The first point, is that you have to set a goal and a time line, and carry them out thoroughly to make your academic and social life meaningful. Second, focus not only on your own studies, but also on everything around you and the changes in our society. And third, value your relationships with others as you look forward to a better and successful future, and make a difference,” Mr. Okuda said. Panasonic Corporation funds the Panasonic Scholarship program for its localized schemes in the region. 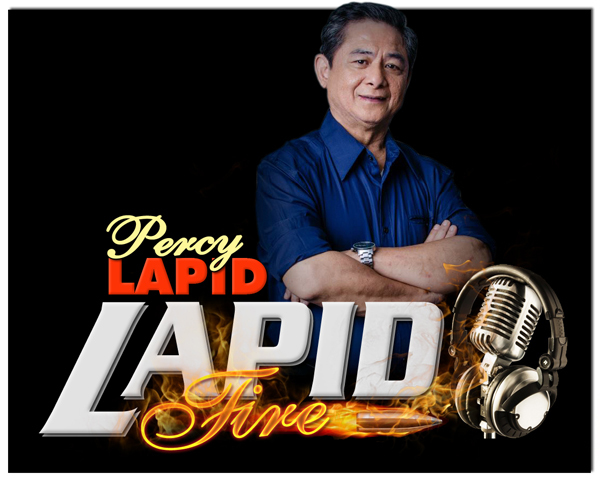 In the Philippines, the program, which continued to benefit Filipino students is administered by PMPC and supported by PPRDPH.